Please type your desired tags, e.g. Political Economy, Psychological Sciences, Development, Biochemistry and Biophysics, Communication & Culture, Information Theory, Electrical Engineering, Computer Engineering, Cancer Genomics, design, Health Careers Preparation, Asian Studies, International Development, Gender Equity, Memory Studies, and etc. Remote Sensing Digital Image Processing, LIDAR and Hyperspectral Remote Sensing, Neural Network and Fuzzy Logic, Spatial Analysis and Modeling, GIS Application Software Development, and Web-based Mapping and Information Processing. Waste-To-Energy: Strategic Geographic Planning Tool Development, Phase II, with K. Curtin and R. Briggs. Funded by Environmental Protection Agency (EPA). 9/1/2005-12/31/2006. $110,000. Waste-To-Energy: Strategic Geographic Planning Tool Development, with R. Briggs, and K. Curtin. Funded by Environmental Protection Agency (EPA). 10/1/2004-12/31/2005. $65,000. Center of Excellence in Spatial Information Technology, Oracle Corporation Award, 07/01/2002, Software donation worth of $304,695.00. For decades, arborists and urban planners alike have struggled with how best to evaluate and maintain Dallas’ urban forests. A vital source of greenery, environmental protection and quality of life, these forests were previously cataloged by volunteers on foot with handheld GPS devices. At best, the results were a rough, inaccurate patchwork portrayal of the variety and number of trees in a given area. 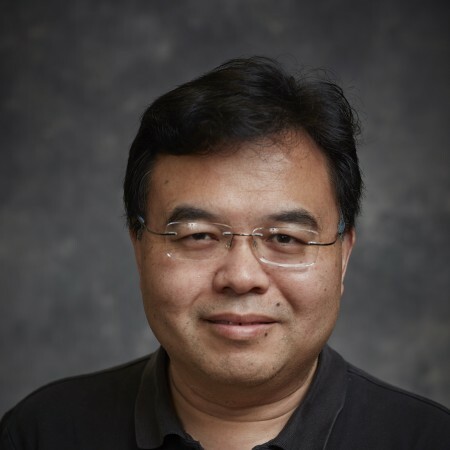 A new technique pioneered by Dr. Fang Qiu, associate professor in geospatial information sciences in the School of Economic, Political and Policy Sciences, has produced a comprehensive survey of some of the Dallas forest — and he did it leaf by leaf. The effort marks the first time any metropolitan area has surveyed trees with the Qiu’s novel, two-step approach. Qiu was commissioned by Steve Houser, who chairs the Dallas Urban Forest Advisory Committee. RICHARDSON, Texas (Jan. 10, 2005) — Dr. Fang Qiu, an assistant professor of geographic information sciences at The University of Texas at Dallas (UTD), has been awarded a $70,000 grant from the National Aeronautics and Space Administration (NASA) to help create a system that will track scientific information about the Earth for use in higher education. 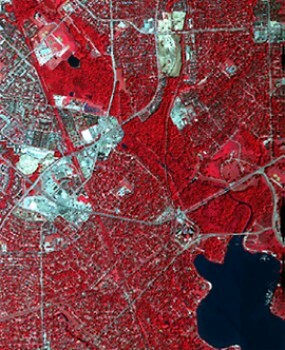 The grant was funded under NASA’s Earth Observing System (EOS) Higher Education Alliance, and Qiu will serve as co-investigator of the initiative, alongside researchers from George Mason University in Fairfax, Va., the City University of New York and Northern Illinois University.